What is WordPress? It is an open source software you can use to create your unique, creative and responsive website or blog. WordPress has free themes and plugin that can help in your website. 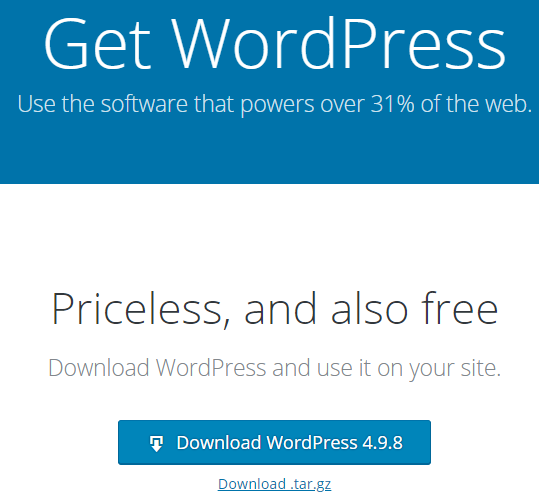 WordPress installation is easy. 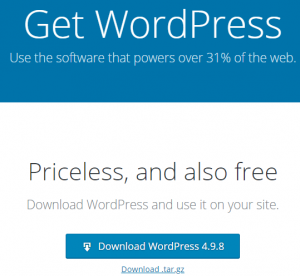 Setting up a wordpress is simple with famous 5 minute installation. Upload the wordpress files to desired location on your web server. If you want to integrate WordPress into the root of your domain (e.g. http://mywordpress.com/), move or upload all contents of the unzipped WordPress directory into the root directory of your web server. If you would like to have your WordPress installation in its own subdirectory on your website (e.g. http://mywordpress.com/blog/), create the blog directory on your server and upload contents of the unzipped wordpress package to the directory via FTP. Please run the WordPress Installation script by accessing the URL ina web browser. This should be the URL where you uploaded the WordPress file. Congratulations! WordPress is now installed.